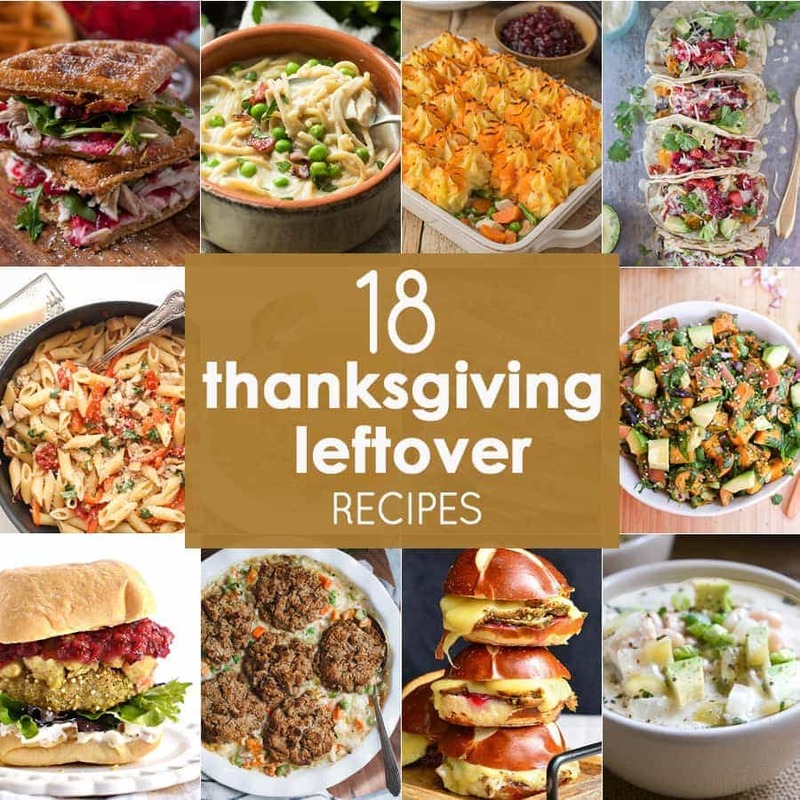 Thanksgiving leftovers are delicious to eat on their own, but you can also use leftovers from Thanksgiving to create any of these 18 Thanksgiving leftovers recipes! Hi there! It’s Maryanne from The Little Epicurean. Thanksgiving dinner is a big event in my family. It’s the one day in the year where everyone helps out in the kitchen. With all these extra hands, we usually cook way too much food for one night. And that’s the point- because once the turkey dinner is over, we have plenty of Thanksgiving leftovers to last us until the end of the weekend. 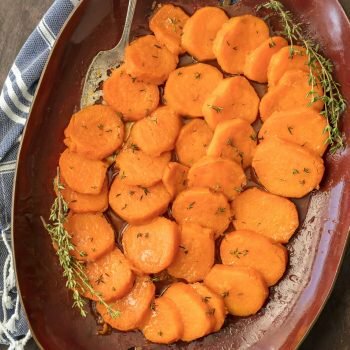 Today we’ve got 18 creative, inventive, and delicious Thanksgiving leftovers recipes! From soups, casseroles, and sandwiches, I promise you won’t get bored of leftovers! 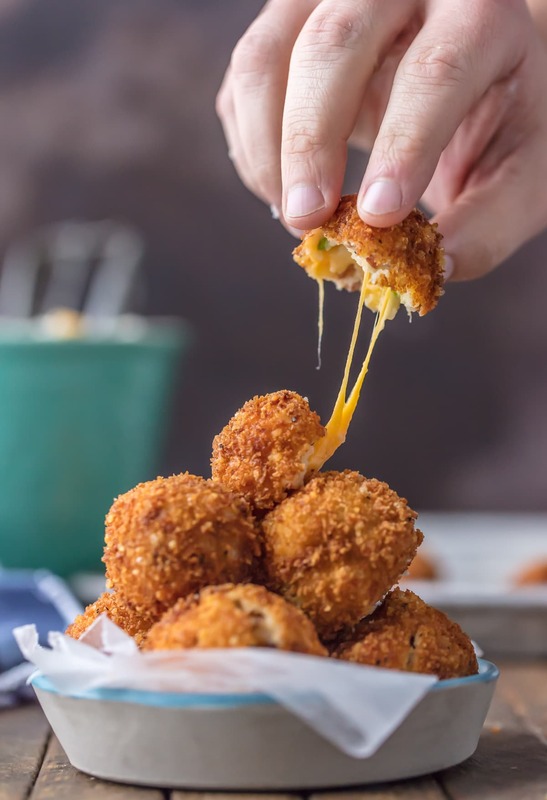 Deep Fried Loaded Mashed Potato Bites | The Cookie Rookie; Put your leftover mashed potatoes to good use in my deep fried loaded mashed potato bites! 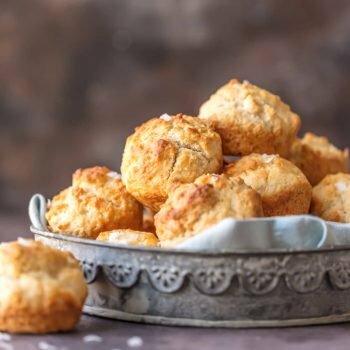 Stuffed with bacon, cheese, and more, these are SO good! 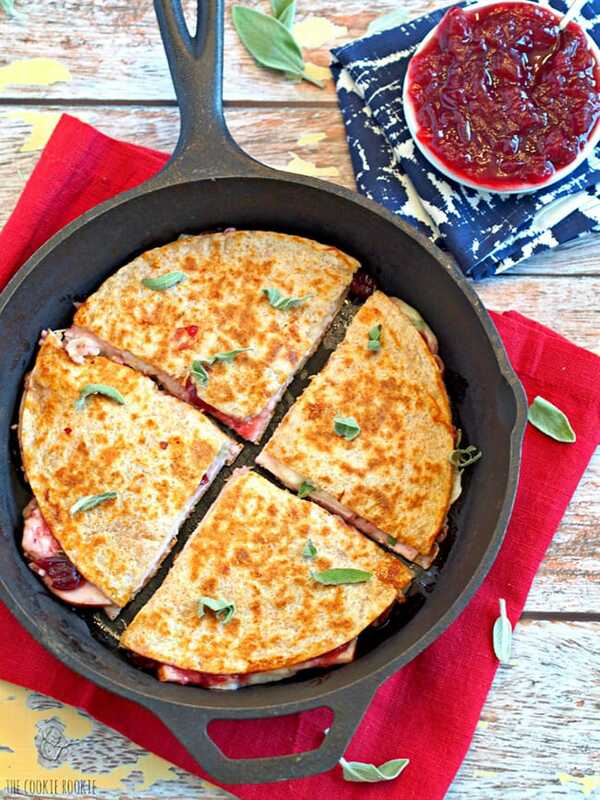 Thanksgiving Leftovers Quesadilla | The Cookie Rookie; Use up your leftover turkey in my three-cheese, turkey, cranberry, and sage quesadilla! 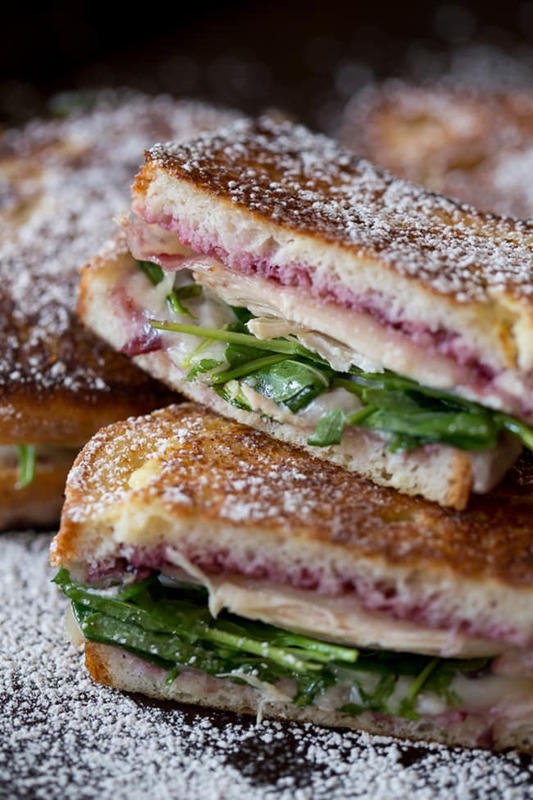 Turkey Monte Cristo | Nutmeg Nanny; This turkey Monte Cristo is made with cranberry sauce, leftover turkey, greens, and Swiss cheese! 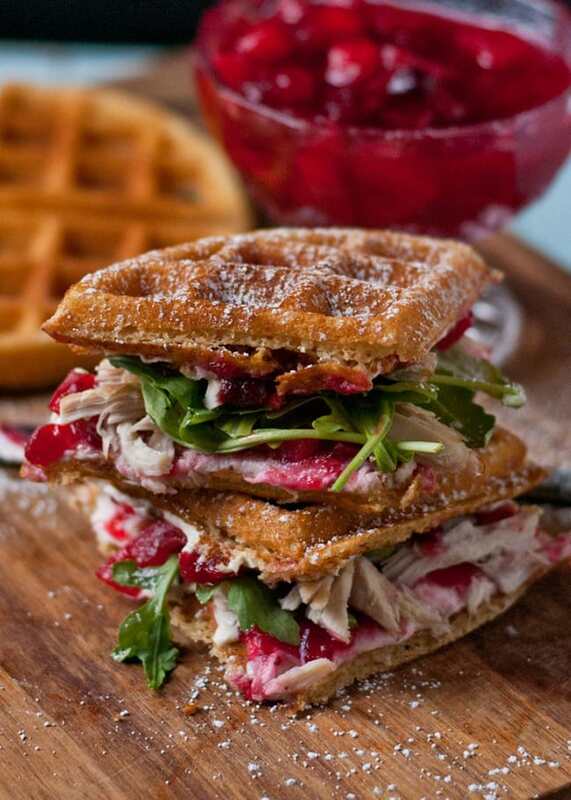 Waffled Cranberry Cream Cheese Turkey Sandwiches | Neighbor Food; A sweet and savory way to use up your Thanksgiving leftovers. Make this turkey waffle sandwich! 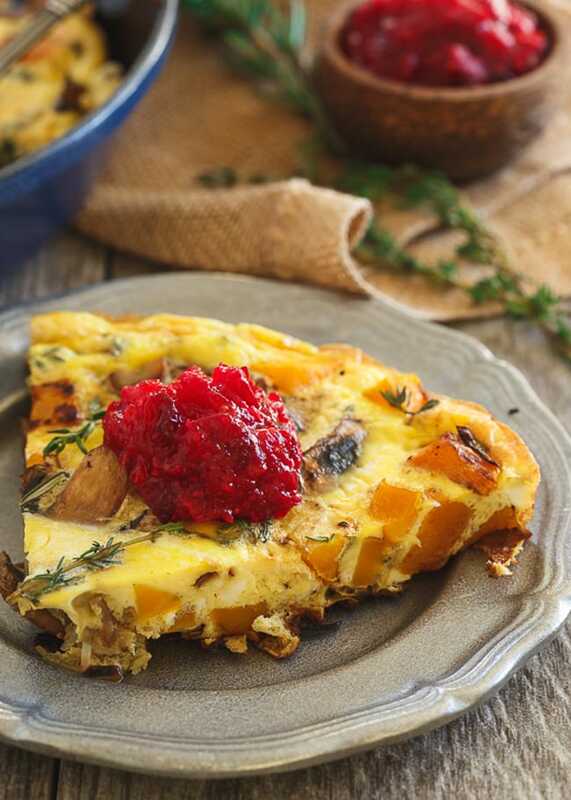 Thanksgiving Breakfast Frittata | Running to the Kitchen; This Thanksgiving breakfast frittata has all the flavors of Thanksgiving in a protein-packed breakfast! 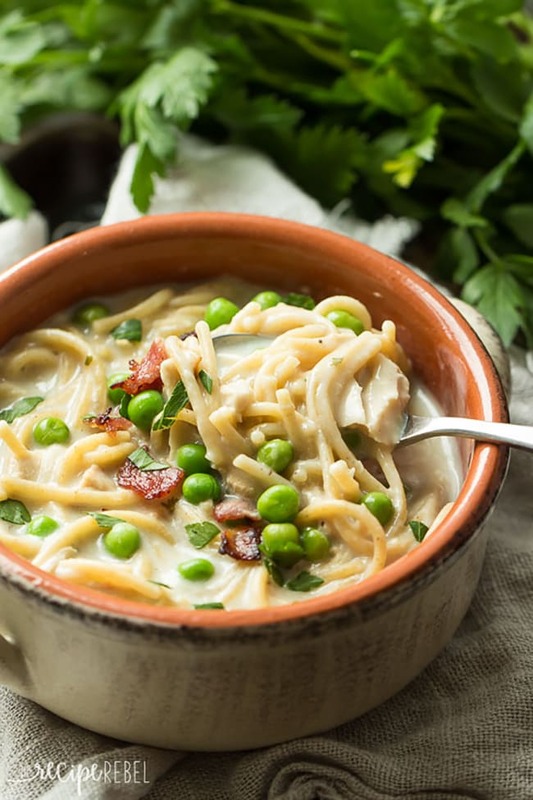 Turkey Tetrazzini Soup | The Recipe Rebel; Make this hearty, creamy soup with your Thanksgiving leftovers! 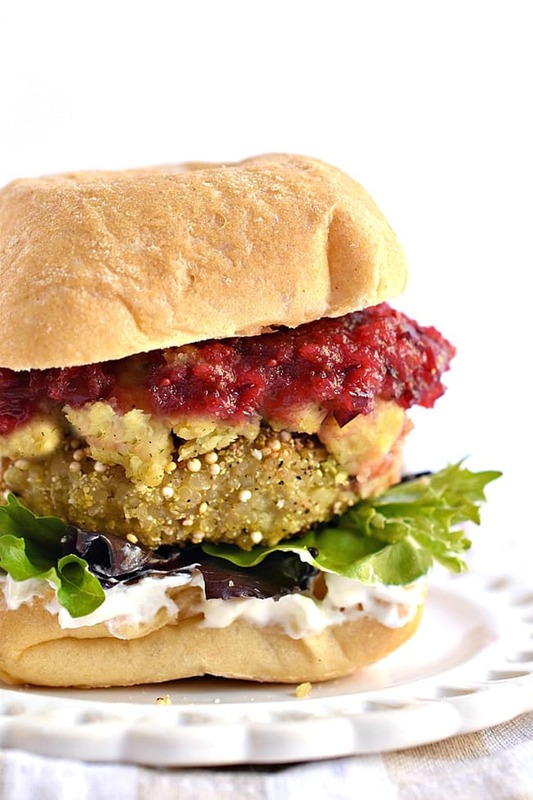 Thanksgiving Leftovers Quinoa Burger | Fork and Beans; An incredibly easy burger made with your leftover Thanksgiving stuffing and quinoa. It doesn’t get much simpler than this! 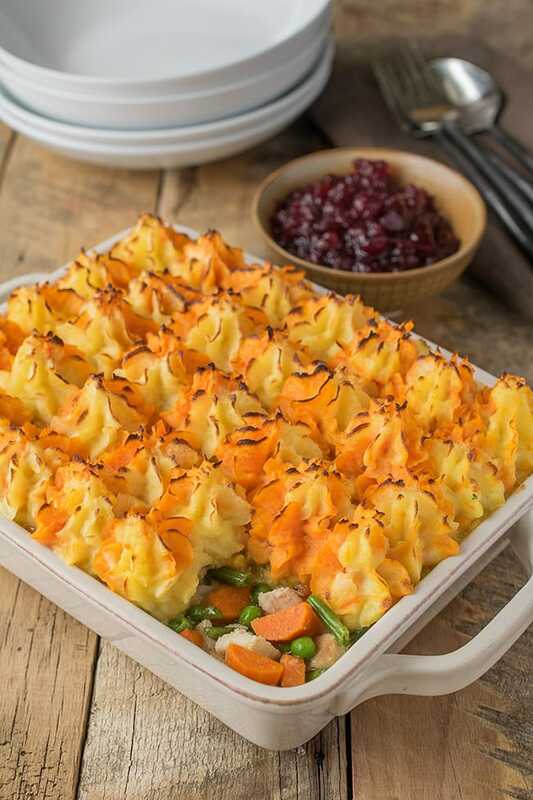 Thanksgiving Leftovers Turkey Shepherd’s Pie | Culinary Ginger; Turn your Thanksgiving leftovers into this gorgeous turkey shepherd’s pie! 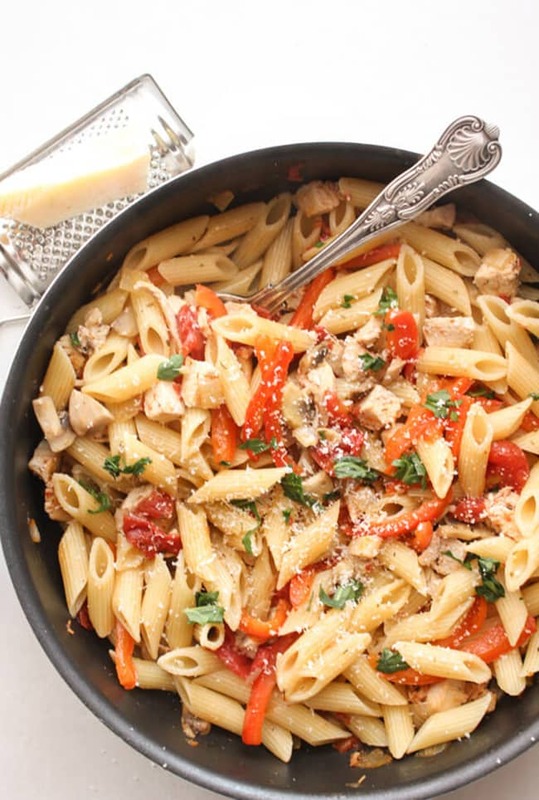 Leftover Turkey Skillet Pasta | An Italian in My Kitchen; Add your leftover turkey, favorite veggies, and penne noodles and you’ve got yourself a meal – you’ll love this leftover turkey skillet pasta! 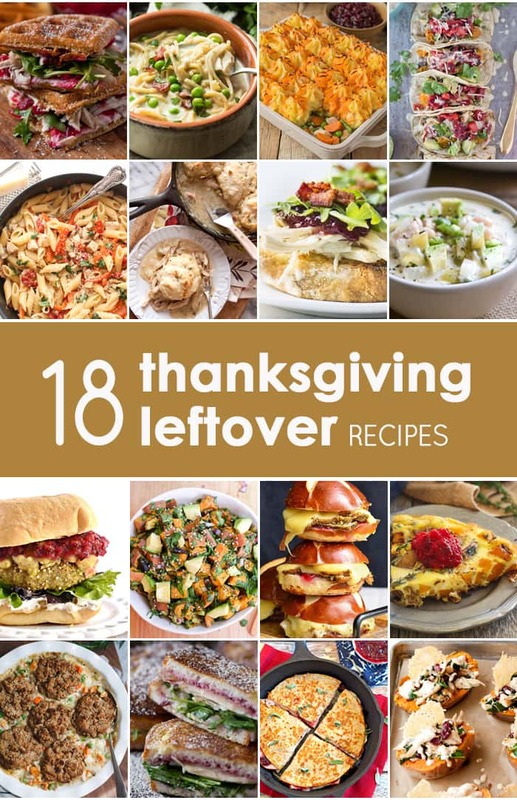 Which of these delicious Thanksgiving leftovers recipes do you want to try first?